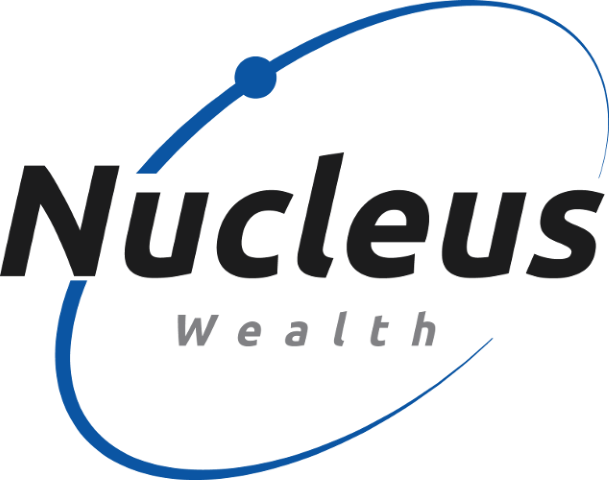 Nucleus Wealth was borne from the idea that everyday people should have the transparency, customisation and access to quality investment management that is typically reserved for high net worth and sophisticated investors. We do this by using technology to control costs and ensuring that our efforts are spent on the real job at hand, which is providing a superior investment outcome for our clients. We pride ourselves in having some of the best brains in the business analysing investment opportunities on a global level. We do this through our partnership with a proven team of investment professionals. Damien has a wealth of experience across international equities (Schroders), asset allocation (Wilson HTM) and he helped create one of Australia’s largest independent research firm, Aegis Equities. He lectured for over a decade at the Securities Institute, Finsia and Kaplan and spent many of those years as the external Chair for the subject of Industrial Equity Analysis. Damien runs the investment side of Nucleus, selecting stocks suggested by analysts and implementing the asset allocation. Damien started Nucleus Wealth after 20+ years in financial markets. He wanted to come up with an investment solution for ordinary investors that delivers the same types of personalised investment portfolios high net worth investors use. David Llewellyn-Smith and Damien met around 2011, both were writing asset allocation research and shared similar views – most prominently that an over-valued Australian dollar and a mining boom would not last and that investors needed to position their portfolios accordingly. David runs Macrobusiness, a prominent investment blog, co-authored of The Great Crash of 2008 with Ross Garnaut, was the editor of the second Garnaut Climate Change Review and was former editor-in-chief of The Diplomat magazine. For years, Damien and David discussed the potential to create an investment firm to invest in the themes that both had pursued independently, and by 2016 platform fees had reduced low enough that the strategy could be invested in without the investment platforms making more than the investors! David is the Asset Allocation strategist, his main role being to drive debate and decisions on whether to own cash, bonds, Australian stocks or International stocks. Tim entered the picture in late 2016. An avid reader of investment blogs and somewhat jaded by the high fees for average performance that dogs the investment sector in Australia, Tim was looking for the same opportunity – the ability to offer an investment product that was comprehensive enough to maximise global opportunities, whilst being simple enough to explain to a friend at a BBQ on the weekend. Having spent quite a few years with majors like AMP and Mercer, Tim recognises that there is a lot of room in the advice world for smaller players that focus on more accessible forms of financial advice for people who don’t necessarily want (or need) to spend thousands but still need some help. He firmly believes that great investment is a key part of a happy life. Tim has considerable experience in investment platforms and spearheaded the structuring and advice part of the Nucleus offering. Under Tim’s watchful eye we have created an investment product that provides tax benefits, ethical customisation and full transparency. Aside from his engineering degree and MBA, Tim is a Certified Financial Planner. Leith is the chief economist at MacroBusiness and so a natural fit for our Asset Allocation team – converse in the themes of the portfolio and with an in depth knowledge of the Australian economy and its drivers. He specialises in the Australian economy and for over a decade worked at the Australian Treasury, the Victorian Treasury and Goldman Sachs. The final pieces of the puzzle are the analyst’s behind the stock selection. Damien runs quantitative processes to generate the stocks to buy, but the problem is that quantitative processes often generate “value traps” – stocks that look like they are high quality but aren’t. Radek came to Nucleus Wealth via Mainstreet, and Radek has over 20 years experience in a wide range of analyst/quant roles across a number of stockbroking/research houses that include BZW, Abn Amro, BBY, and Aegis and CBA Equities research. Radek spends most of his time trawling through stocks looking for value traps and problems. Damien spent a number of years working with Simon O’Donnell and David Lennan at Wilson HTM where they were investment managers. He also had Simon as a client when Simon was head of financial planning at Commonwealth Private Bank and Damien was head of research at Aegis Equities. Nucleus Wealth operates as a corporate authorised representative of Integrity, and so Simon and David are involved in a range of investment processes across Nucleus – challenge the views and ensure that the investment standards are enforced. David and Simon run Australian portfolios for high net worth individuals and have a wealth of experience investing in all assets. So, Nucleus spends a lot of time with Simon and David discussing investments in Australian stocks.